Following the success of the 2014 edition, Kering and Vogue Italia have decided to continue the Vogue Talents programme for the third consecutive year by offering internships at Kering’s luxury brands in Italy. Four new brands - Saint Laurent, Alexander McQueen, Balenciaga, Stella McCartney – as well as Kering Eyewear teams and Kering Corporate headquarters have chosen to support the project in 2015, in addition to last year’s participants - Gucci, Bottega Veneta, Brioni, Pomellato and Dodo. Imaginative high-potential young candidates will be offered internships in a variety of fields, which have been extended this year. They include: public relations, communications and media relations, merchandising, product development, digital, retail, marketing and legal services. The list of internship positions will be posted on www.vogue.it on 23 September. Each opportunity will include a description of the internship project, activities and requirements. Candidates will have until 15 November to submit their application (in English), together with a resume and a cover letter. Following the recruitment process, the chosen applicants will have the chance to join some of the luxury industry’s most admired brands for an internship starting in the period November 2015 to January 2016. To celebrate the launch of ‘Empower Talents 3’, Kering and Vogue Italia will hold a private cocktail at Palazzo Morando in Milan on 23 September 2015, hosted by Franca Sozzani, Vogue Italia editor in chief and François-Henri Pinault, Kering chairman and CEO. “We are proud to be supporting Kering for the third consecutive year of this initiative dedicated to the young people who dream of working in the world of fashion. The arrival this year of new brands, in addition to those already endorsing us, demonstrates that Empower Talents is a project we can believe in for years to come. 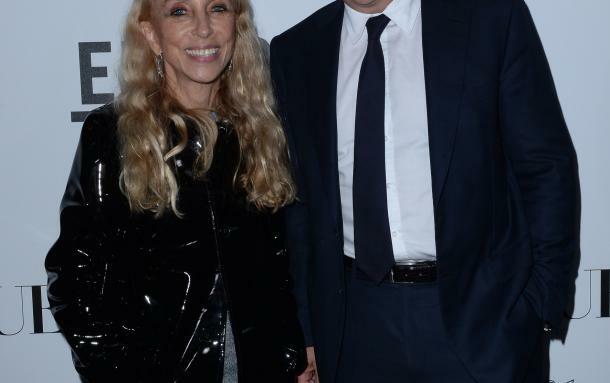 Young people are our future, and they need concrete support and opportunities to express their abilities and make their dreams come true”, said Franca Sozzani, director of Vogue Italia.